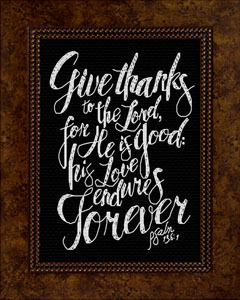 Welcome to Joyful Expressions where cross-stitch designs feature favorite Bible verses. Enjoy creating a beautiful project that will be an inspiration and blessing for years to come. 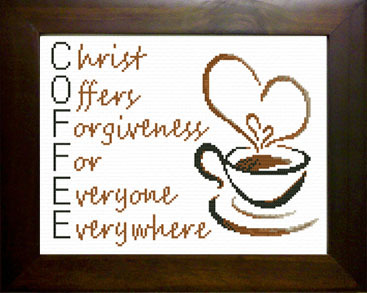 Icings - "Frosting on Fabric"
Cross stitch one of the most recognized hymns in the world! 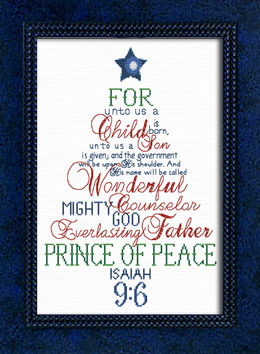 Celebrate the Joy of Christmas year round! 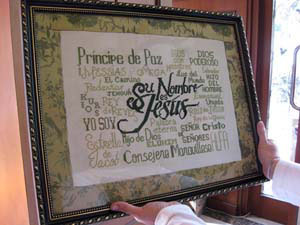 Did you know that we have designs in Spanish? 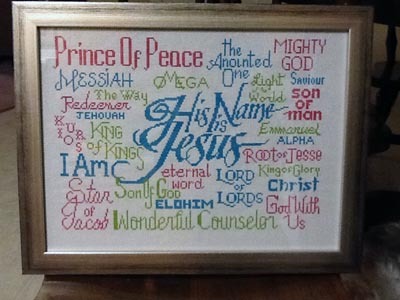 Free Cross Stitch Chart - "His Name is Jesus"
Get any Chart Free by creating a Pinterest Board! Nearly any name can be customized for you. Available as charts or as complete kits, the finished size fits a standard 8 x 10" frame - no custom framing necessary! Easy Frame 8 x 10" Designs - No Custom Framing! We at Joyful Expressions, have strived to make your stitching experience pleasurable. Most of the designs have been personally stitched. There is no hopping around for that one odd color and no difficult 1/4 stitches. All design charts are large and easy to follow in full color, with easily identifiable symbols. Most patterns only require three types of stitches. Even a beginner can have the satisfaction of completing many of our designs. If you can sew on a button, you can cross-stitch! 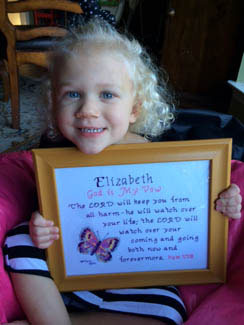 Imagine displaying a project, stitched by you and featuring a Bible Verse - what a blessing! Needle art is relaxing and fun - it's like painting with thread! 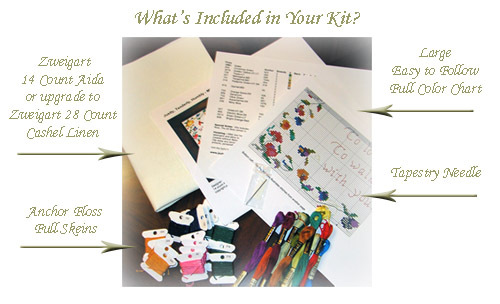 Many of our Designs are available as Kits! I wanted to let you know that I received my kit. I was impressed at how organized it was. I also appreciated that the pattern was large enough for me to see easily. I have one more day to finish up a project I am doing, and then I can start this new project.